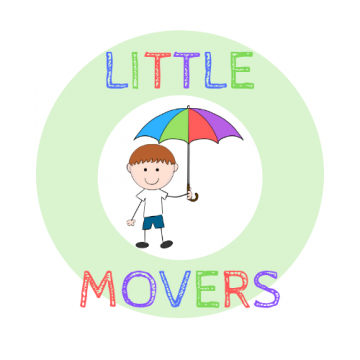 Welcome to Little Movers, part of The PE Umbrella Family! Little Movers is a FUN and EXCITING Multi-Skills class based in the town of Harrogate with the aim of making sure children are physically prepared and ‘School Ready’ when the time comes. Serving children between the ages of 18months and 5 years, Little Movers provides a foundation for children to lead physically active lives and instills in them a passion and enjoyment for moving. Not to mention the proven benefits of play and movement as a means to support the development of your child’s Vestibular and Proprioceptive systems. My name is Ryan and I am a Dad of two young children and a Primary School teacher of 7 years. Having worked across a range of Harrogate District primary schools delivering PE, as well as teaching in the classroom, I have seen first hand the huge benefits that a secure grasp of physical fundamentals has on the learning and academic successes of children. Without a doubt, my number one passion is to help children find their own enjoyment out of being physically active and put them in a position to succeed in a range of physical challenges that may arise once they begin school. It is also extremely important to acknowledge the Social, Cognitive & Emotional benefits that are nurtured during such experiences, and these are at the core of The PE Umbrella, Little Movers and subsequently all work that I undertake in Primary Schools! So if you’re local to the Harrogate area, what are you waiting for? Come and join me for a FREE taster and have your child become a ‘Little Mover’ too! Signal your interest by filling out the form below and I’ll take care of the rest. Little Movers sessions are held at Grove Road Primary school in Harrogate. Sessions run in half-termly blocks on a Sunday morning, in line with North Yorkshire term dates.